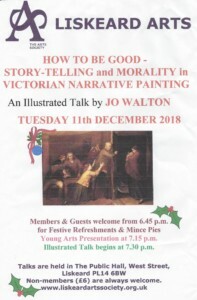 A talk for Liskeard Arts Society. All Welcome, non-members £6. 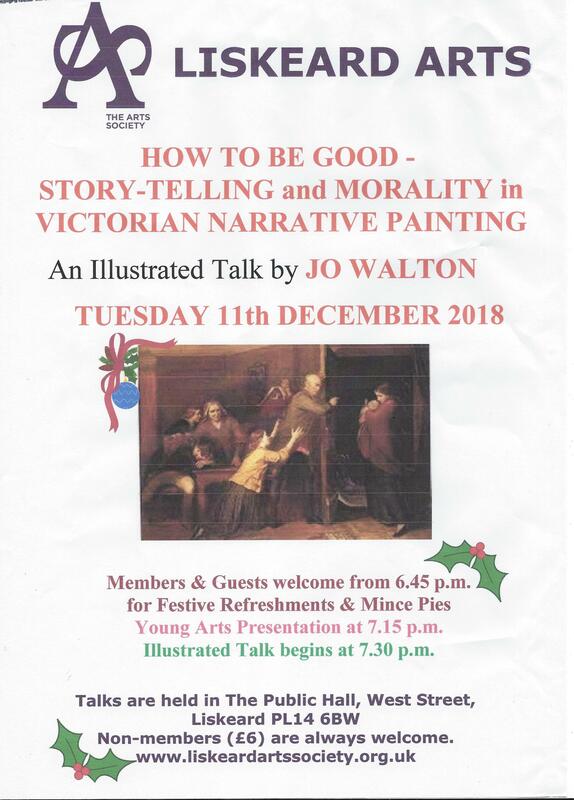 How to be Good – Storytelling and Morality in Victorian Narrative Painting by Jo Walton. The Victorians expected all things to have a purpose and a moral message, and their successful painters obliged – cads, bounders and fallen women jostle with gamblers, philosophers and honest workmen in their wonderfully detailed canvasses. Liskeard Public Hall, 7.30pm – refreshments are served from 7pm.